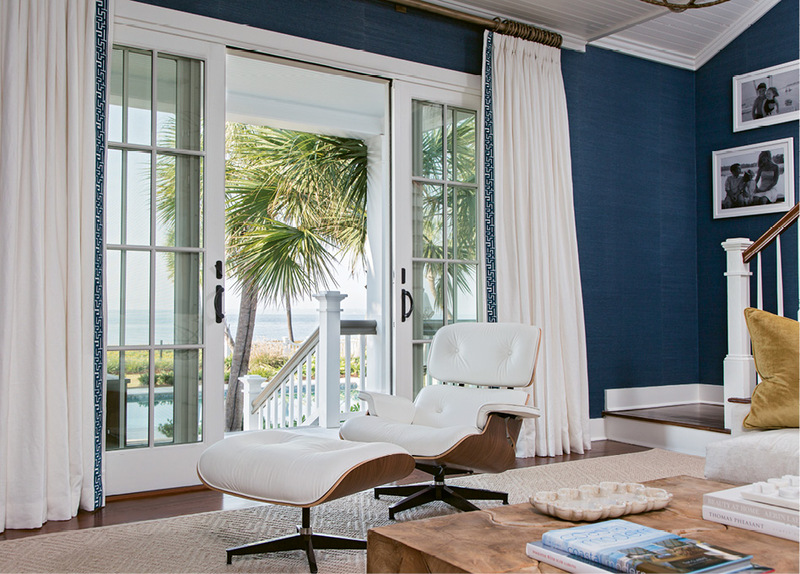 PHOTO: LOVE AT FIRST SIGHT - Charleston native Tara King first fell for this Sullivan’s Island house in her teens. After admiring it from afar for some 25 years, she and her husband, Kirk (inset photo), purchased the more-than-a-century-old home in 2011. 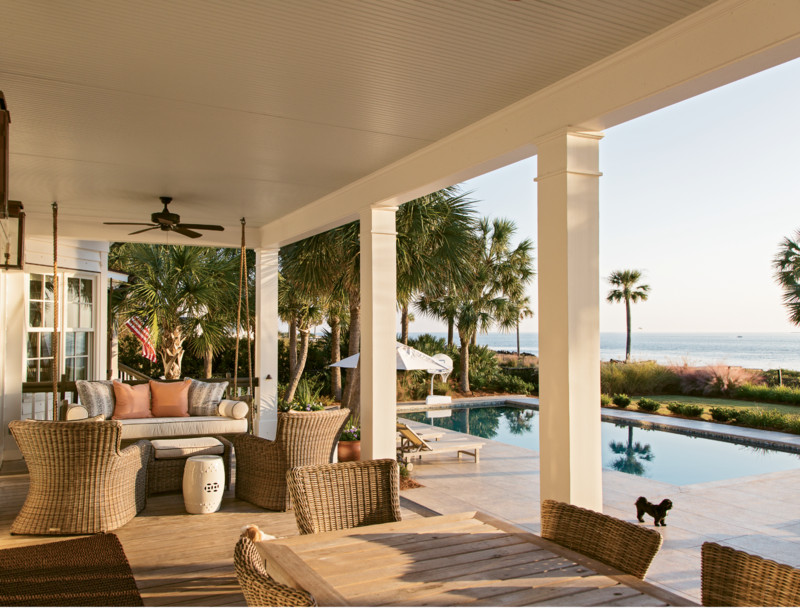 In the process of making it their own, they added a new back porch with French doors to maximize oceanfront views. 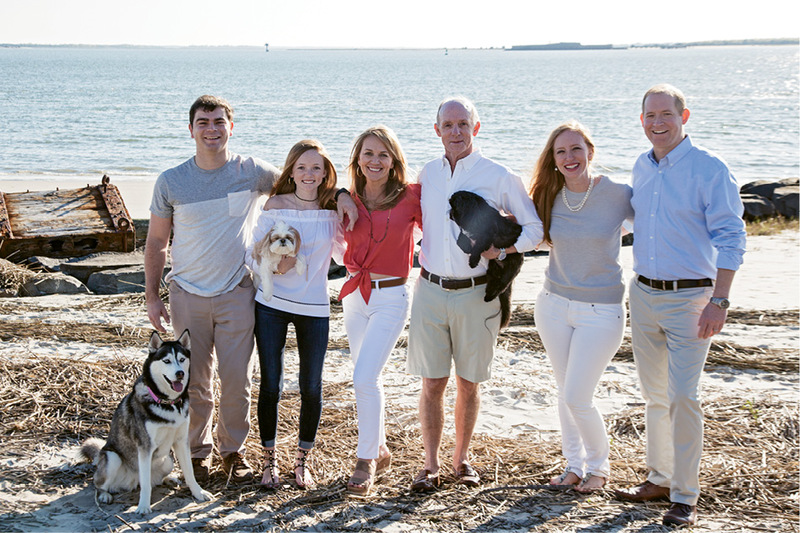 Like many Charleston natives, Tara King grew up spending lots of time on Sullivan’s Island. 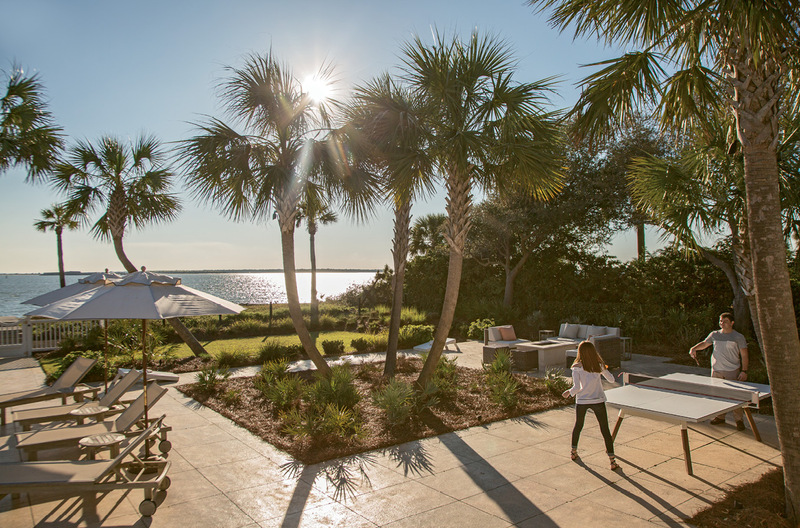 After hitting the beach and grabbing a bite to eat, she’d drive around admiring the homes, always making a point to visit one property in particular: an 1890s side-gabled beachfront house positioned near the convergence of Charleston Harbor and the Atlantic Ocean. “The house looks straight at Fort Sumter,” she says. Even from her curbside vantage point, Tara knew that inside, the coastal views would be amazing. 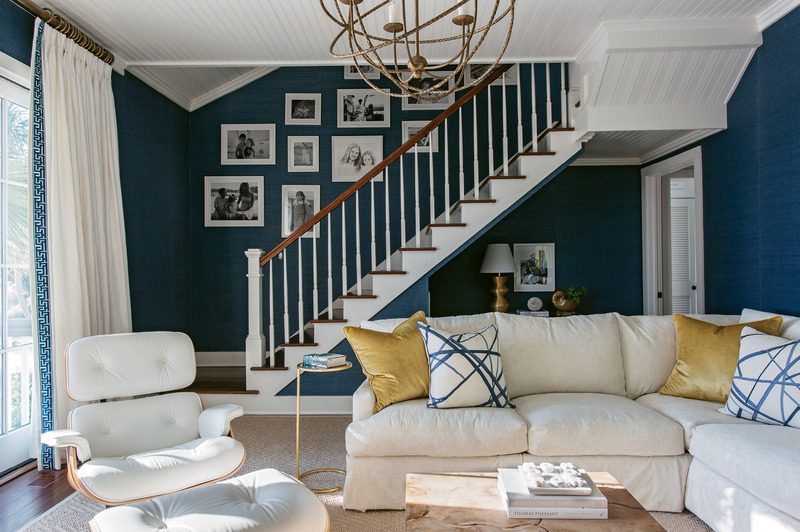 With its open layout, the 4,500-square-foot Sullivan’s Island abode was the perfect scale to accommodate the couple, their kids, and family Shih Tzus Lilly and Sulli, as well as Brock’s Husky, Nala, a frequent overnight guest. 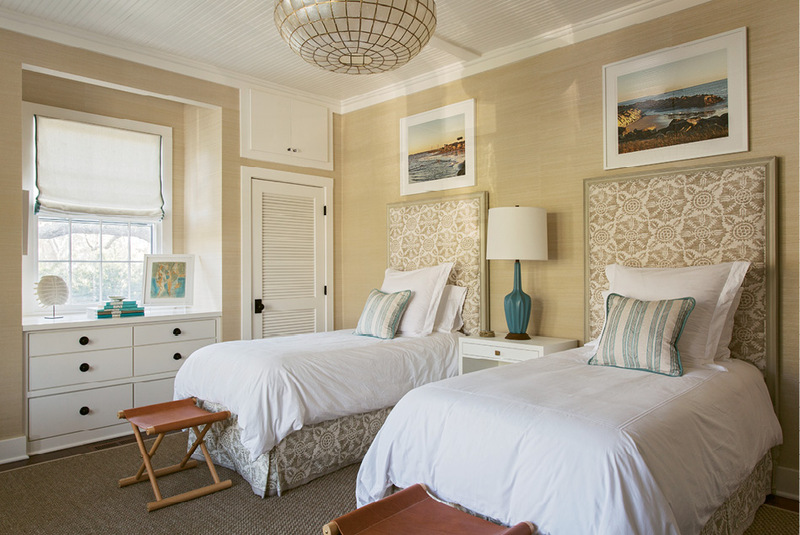 A single second-floor bedroom and detached guest house provided extra sleeping quarters without taking away from the coziness and convenience of one-story living. And though the residence was more than a century old, it was well cared for, with only three previous owners. “The homes down here are often generational; they get passed down, so they don’t go up for sale very often,” Kirk notes. On their first visit, the duo stepped through the front doors into the living room, where a wall of windows provided a vista as breathtaking as Tara had imagined. 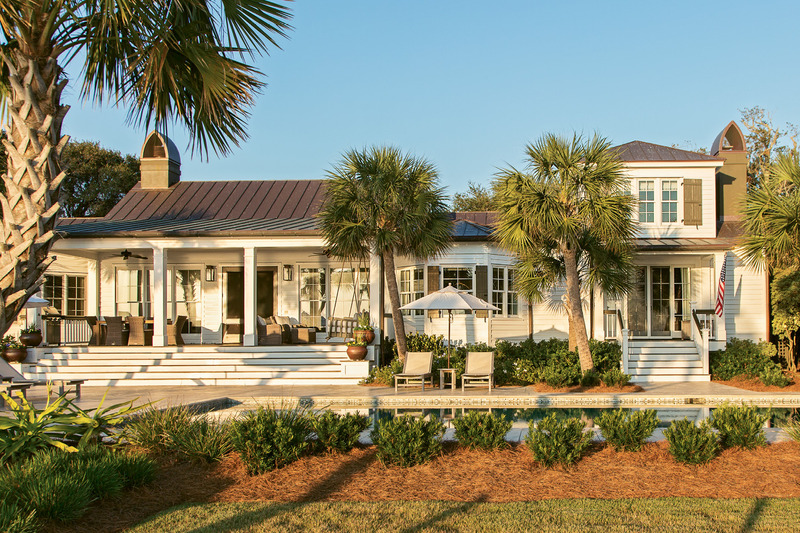 “The property faces south, and the waters are very calm; all the shrimp boats, yachts, and ships go right by the house,” she says. 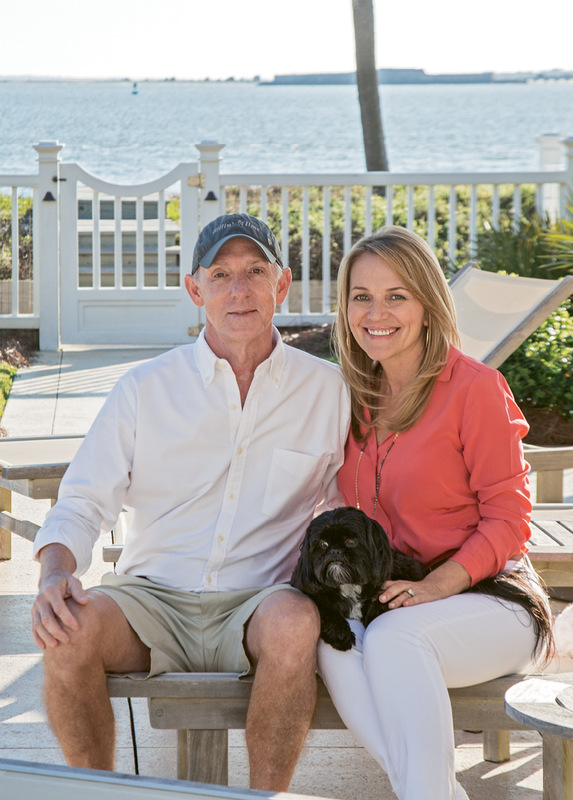 For Kirk, a Greenville native who is CEO of CSS International, the proximity of those waters meant ample opportunity for fishing and boating, two favorite hobbies. The view cemented the Kings’ decision to sell their new-build and buy Tara’s dream home. 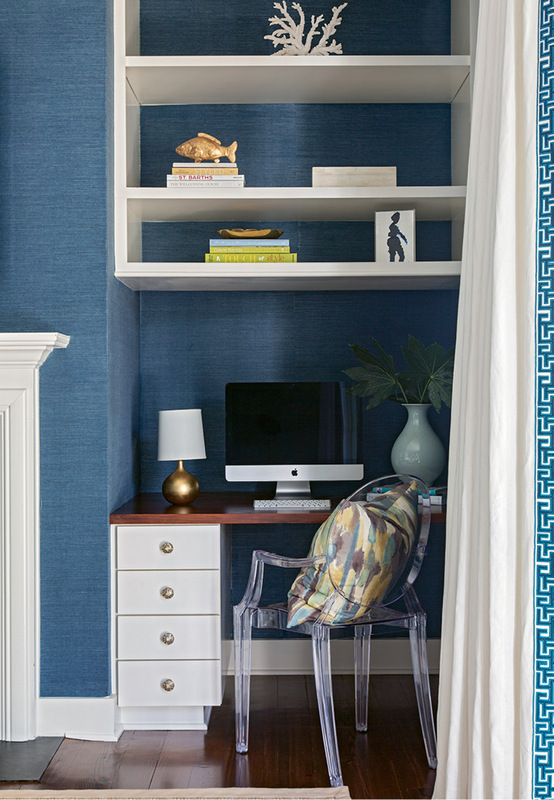 With this vision in mind, the couple turned to a team of local pros. Longtime friend and area contractor Chuck Allen built practical upgrades, such as en-suite baths for each of the five bedrooms. 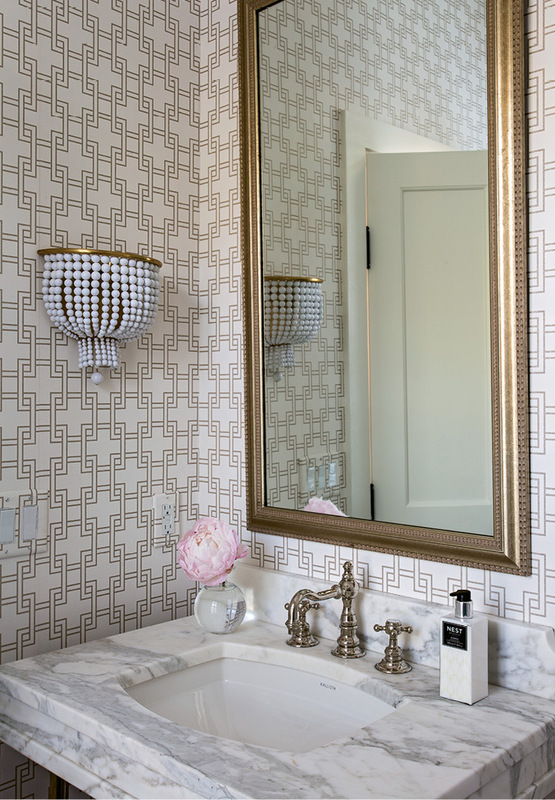 Design expert Regina Garcia helped with spatial planning in the baths, dressing room, and the kitchen. 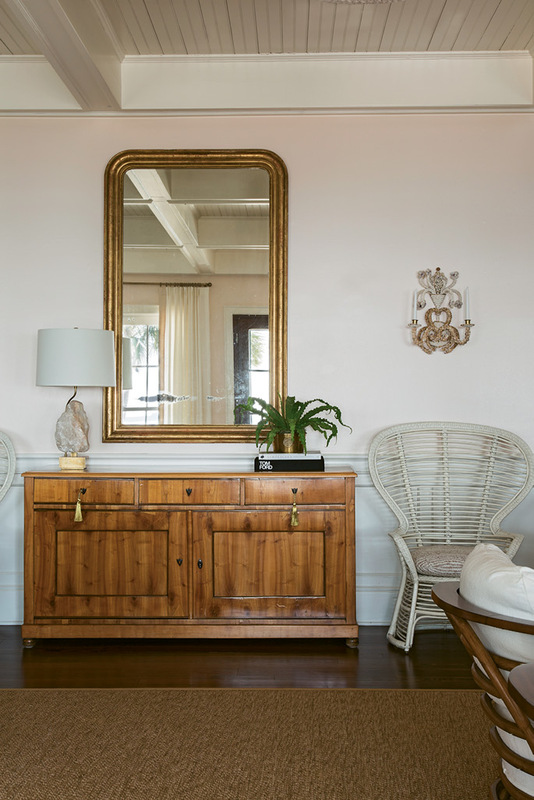 Allison Elebash, a Mount Pleasant-based designer with projects throughout the Lowcountry and the Caribbean, set to work conjuring interiors that captured the laid-back, island-chic aesthetic the Kings craved. 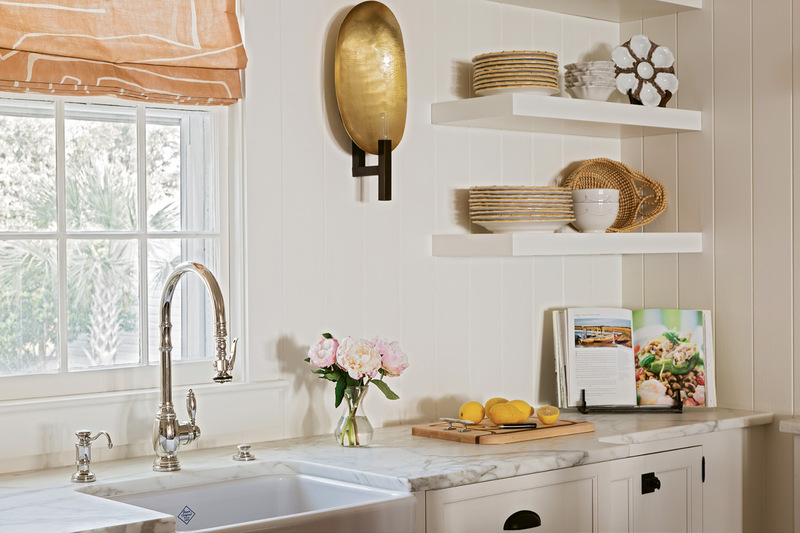 Elebash guided them toward a serene palette and natural materials that reflect the ease of coastal living. 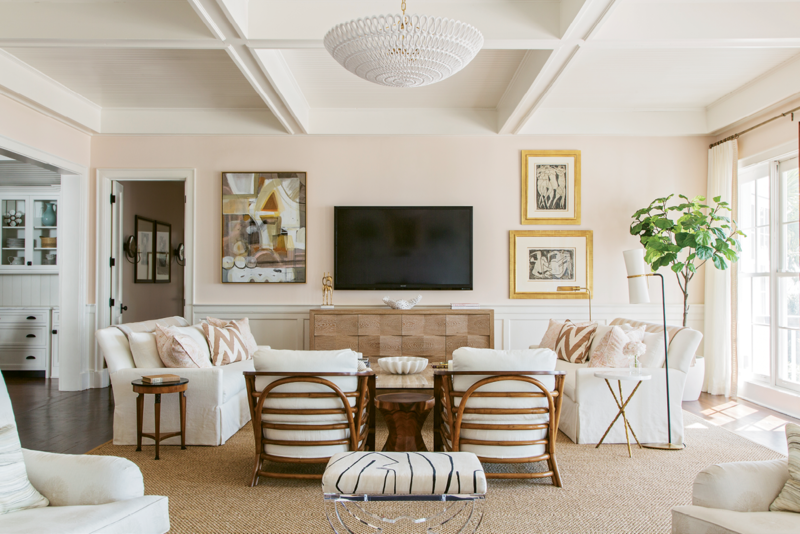 The pale pink living room walls are a tip of the hat to the rosy sands of Harbour Island, Bahamas, where the couple often vacations; throughout the rest of the space, shots of soft pink, as well as shades of blue, green, and tan pay further tribute to the beauty of the coastal landscape. 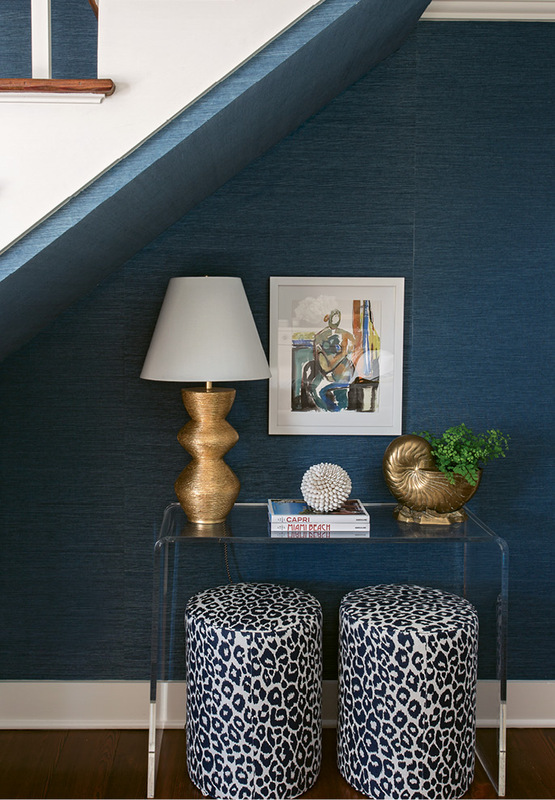 Similarly, many of the textiles, such as grass-cloth wallpaper in the den and guest bedroom and sisal rugs throughout, were chosen for their warm, organic feel. In terms of furnishings, many of the Kings’ existing pieces were too formal for the island vibe they hoped to capture. “Allison was brave enough to say, ‘You’ve got to get rid of most of your things,’” Kirk recalls. 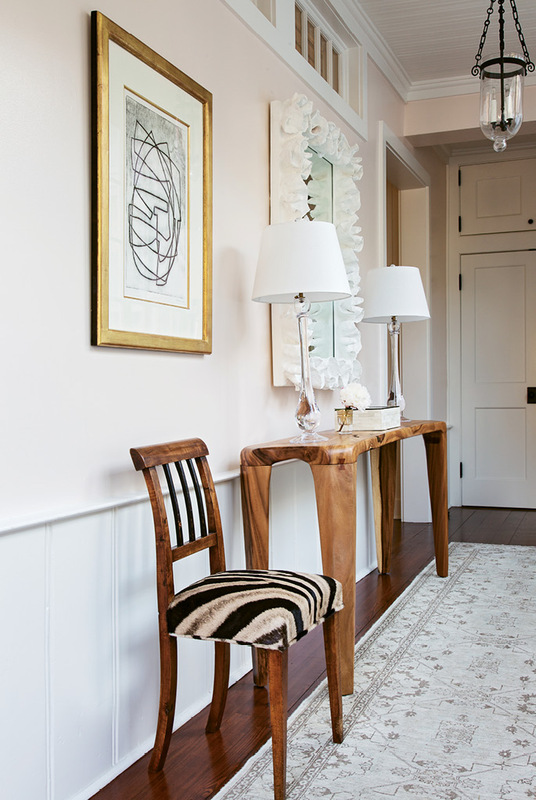 To achieve a feeling of bohemian elegance, Elebash sourced a mix of well-worn and modern pieces: in the living room, for example, a circa-1825 Biedermeier chest scored at Fritz Porter keeps company with a Lucite-based custom Kravet stool. 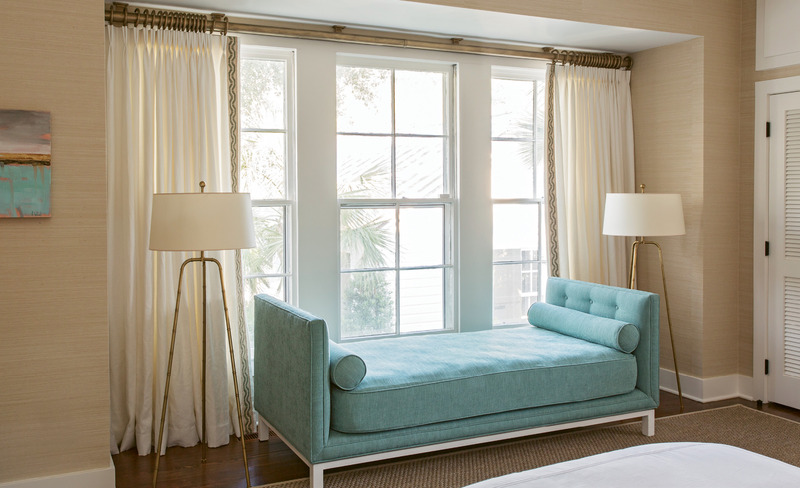 The designer gravitated toward pieces with a sense of fun, opting for a hanging swing rather than a bench for extra seating in Alyssa’s bedroom and a funky abstract Kelly Wearstler fabric for window treatments in the kitchen. 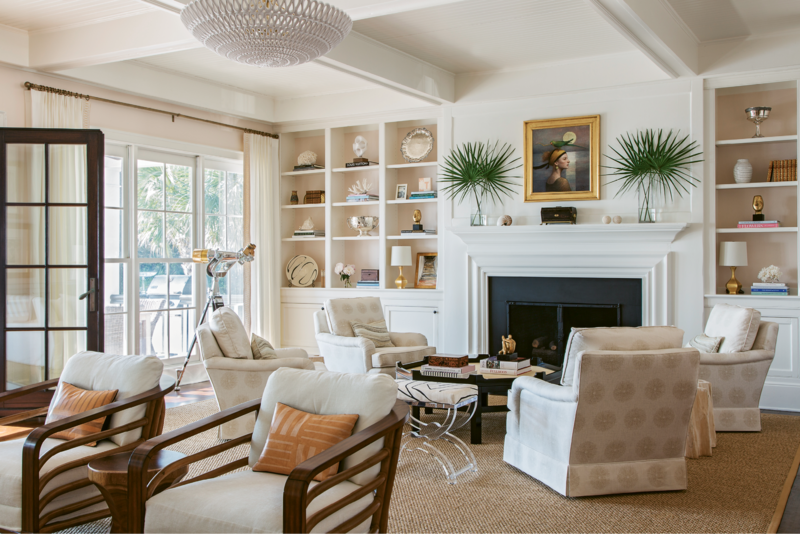 A few holdovers from the couple’s former residence were given new life: Elebash re-covered a set of four armchairs in another Wearstler fabric and plucked serving pieces from the family silver collection to be displayed throughout the home. Paintings by artists near and far add a sense of sophistication without stuffiness. Perhaps the couple’s favorite acquisition is the piece presiding over the living room fireplace: sourced from Ann Long Fine Art, the oil painting by Danish impressionist Louise Fenne depicts a woman by the sea with a bird perched on her head. It’s elegant, but the subject matter feels friendly and fun—just like the abode itself. 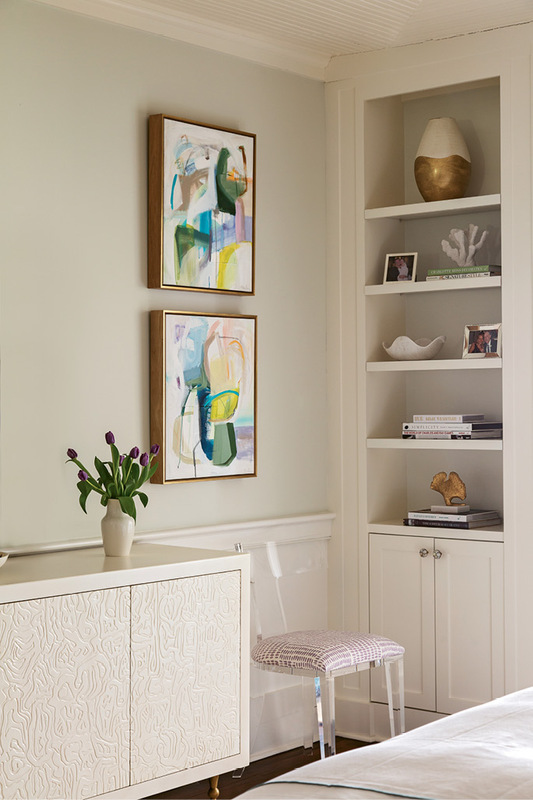 In the bedrooms, works by Sally King Benedict, Anne Darby Parker, and other local artists help to lighten the mood, while in the den, a wall of black-and-white family photos—curated and framed with help from area framing gallery Artizom—strikes a personal note.